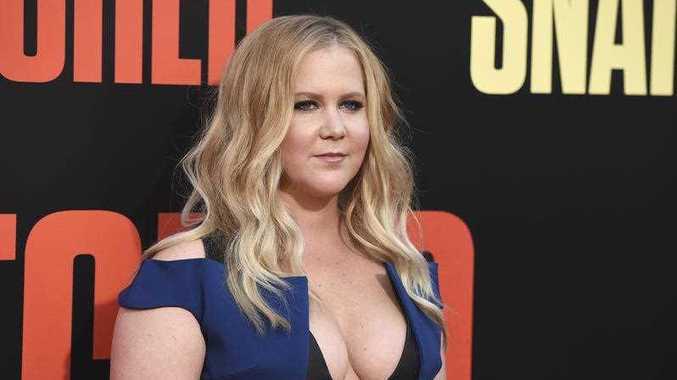 AMY Schumer is a married woman. The comedian shocked fans when she posted pictures from her wedding day to Chris Fischer on Instagram on Thursday. "Yup," Schumer captioned a series of photos from her big day. She shared a second post to tell her fans she "is not pregnant" and in lieu of gifts "please consider [a] donation to everytown for gun safety." Us Weekly was the first to report that Schumer and her boyfriend of several months married in Malibu on Tuesday. According to The Blast, Schumer and Fischer invited 80 of their closest friends and family to watch them exchange vows in a house they rented in Malibu. Jennifer Lawrence was in attendance, according to the photos Schumer posted. The gossip site reported stars like Larry David, Jennifer Aniston and Jake Gyllenhaal were in attendance. Gyllenhaal reportedly set up the couple several months ago. The 36-year-old star and her chef beau only went Instagram-official earlier this week. "Happy Birthday @theellenshow thank you for having us!" Schumer shared alongside a photo of the couple kissing. Schumer and the Beetlebung Farm Cookbook author, 37, were first spotted on a romantic dinner date in New York City in November. The I Feel Pretty star's best friend and fellow comedienne Bridget Everett told Us Schumer is "very happy" in December. Schumer previously dated furniture designer Ben Hanisch for more than a year. They split in May 2017.